If you are looking for a dermal fillers in Lancashire, then book a complementation at our clinics in Clitheroe or Burnley. 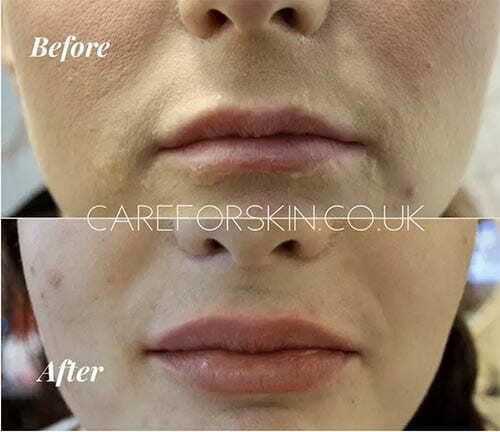 Dermal Fillers restore volume loss in the skin to make it look plumper and richer. As we age, our body’s production of hyaluronic acid begins to deplete. This results in visible signs of ageing. Skin volume loss is a result of breakdown of collagen and elastin, the proteins that form the building blocks of skin. Dermal Fillers provide structure and support, where it lacks. This plumps the skin, providing renewed facial contours and a younger looking complexion. Dermal Fillers are manmade, synthetic substances that mimics the body’s depleted levels of hyaluronic acid. Hyaluronic acid dermal fillers to solve a variety of issues which come with the natural ageing process. This treatment can provide a non-surgical face-lifting effect to improve your facial shape and skin quality dramatically. HA dermal fillers come in the form of injectable gels and have various thicknesses depending on the area to be treated, depth of the wrinkle or the facial augmentation required. A single treatment is required. Results are instant. You will notice a difference as soon as the dermal filler is injected. However optimum results can take up to 2 weeks, where you will by invited for a review and follow-up. Whilst there is no downtime, any strenuous activity should be avoided for at least 24hrs. Similarly gyms, saunas and steam rooms should be avoids for the initial 24hrs after treatment. you will be able to resume your daily activities but will need to adhere to some rules to reduce the risk of swelling and bruising following your treatment. You may experience some swelling and a small amount of bruising, but this should calm down fairly-quickly and can be relieved with an ice pack or taking arnica a few days before and after treatment. You will be able to cover any bruises with concealing makeup 24 hours after treatment. Have a face, body or skin concern?